Boston Borough Council has agreed to support a bid for Greater Lincolnshire to receive millions of pounds in funding and devolved powers. An extraordinary meeting of the full council last night (Thuesday), saw the majority of councillors vote in favour of proceeding with the plans for a combined authority of the ten borough, district and city councils in Lincolnshire, North Lincolnshire and North East Lincolnshire (Greater Lincolnshire) with a directly-elected mayor. It is the last of the nine authorities to approve the papers. Under the plans, councils will continue to exist in their current form, but will also be able to exercise the new powers. The new authority’s responsibilities will include transport, housing and health and social care. It is predicted the Greater Lincolnshire Authority could boost the area’s economy by £8 billion, create 29,000 jobs and provide 100,000 new homes. The combined authority will receive £15 million a year, for the next 30 years, for infrastructure projects to boost economic growth. 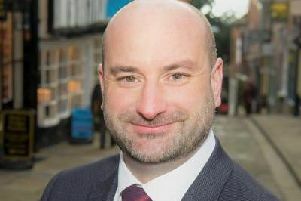 He said the elected mayor would only have precepting powers for the mayor’s own office and any salary should not be any more than the highest-paid council leader in Lincolnshire and would be set by an independent review board. Coun Paul Gleeson, who seconded a proposal by coun Bedford said any new arrangement would require new structures. “An elected mayor is an extra level, but we need someone who is accountable to the people. It is sensible that our representatives are the elected leaders of the councils. The combined authority will be formed by the existing leaders of the ten local authorities, each having an equal single vote, and chaired by the directly-elected mayor, who will also have a single vote. The mayor and the combined authority will be held to account by a scrutiny committee yet to be established. A full consultation with the public aims to start at the end of June.